Do you need a roofing company in Kennesaw, GA? The team at Raborns Roofing & Restorations is in your corner! Our roofing specialists take pride in offering complete services throughout the city and surrounding areas. Our experience allows us the ability to treat any roofing dilemma you may be faced with. We tend to residential and commercial roofs alike. So contact us today at (706) 814-3207 to converse with our roofing experts in Kennesaw, GA. If you don’t happen to see the service that you’re looking for on the list above, please feel free to give us a call at (706) 814-3207. We have live agents available that are here happy to answer all of your questions and assist you in any way they possibly can. 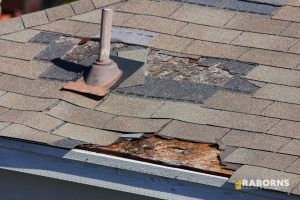 Raborns Roofing & Restorations seeks to provide you with top level roof repairs and replacements in Kennesaw, GA. Also, we intend to make sure that you stay stress-free from throughout the entire process. whole process and guarantee to leave the site as clean as we originally found it.|After we’ve finalized a full inspection, we talk over our findings and recommendations with you, and get to work as soon as your schedule allows us to. We think each of our clients are to have access to the best best roofing services available. Whether you have a residential or commercial roof that’s in need of elite servicing, we have you covered. Your outright satisfaction is what we want to guarantee. If you are not totally pleased with the ending result, then we’ll get back to work. Anytime you need a roofing company in Kennesaw, GA that you can depend on, make sure that you contact the professionals at Raborns Roofing & Restorations. Don’t hesitate in giving us a call at (706) 814-3207.